BREAKING NEWS: Conservative Senator Hugh Segal spoke in the Canadian Senate yesterday, October 25, about the 80% cut to Radio Canada International’s budget, and reiterated his intention to have a Senate Committee ask questions of management about the cuts. 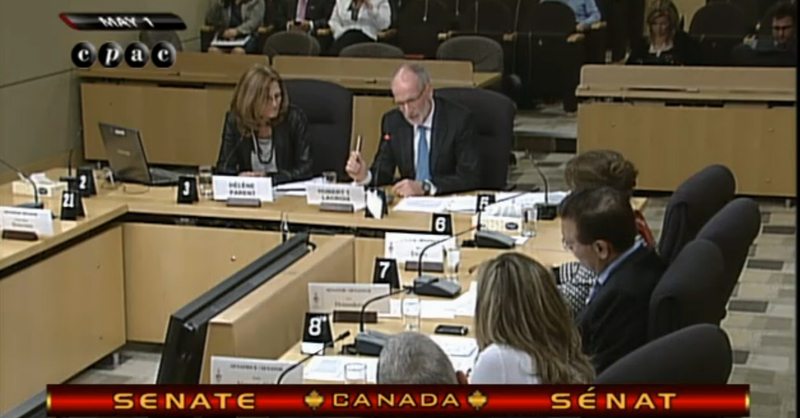 We’ll have more details about this later. 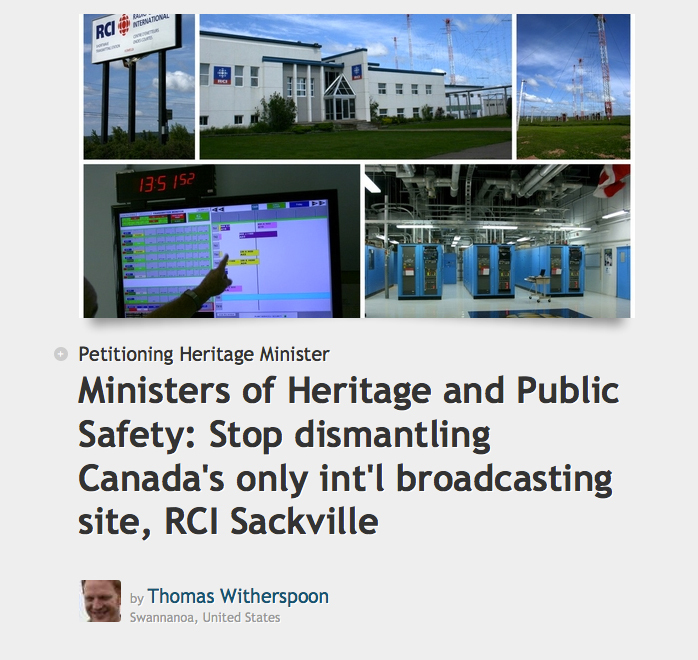 Many thanks to U.S. listener and RCI fan Thomas Witherspoon of Ears To Our World (ETOW) for getting this petition out to stop the dismantling of Canada’s only international broadcasting site, the transmitter site in Sackville, New Brunswick. Click on the photo below or this link for details. Thanks to all who have already signed up! 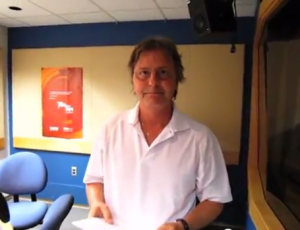 Thanks to Thomas at The SWLing Post for this link. 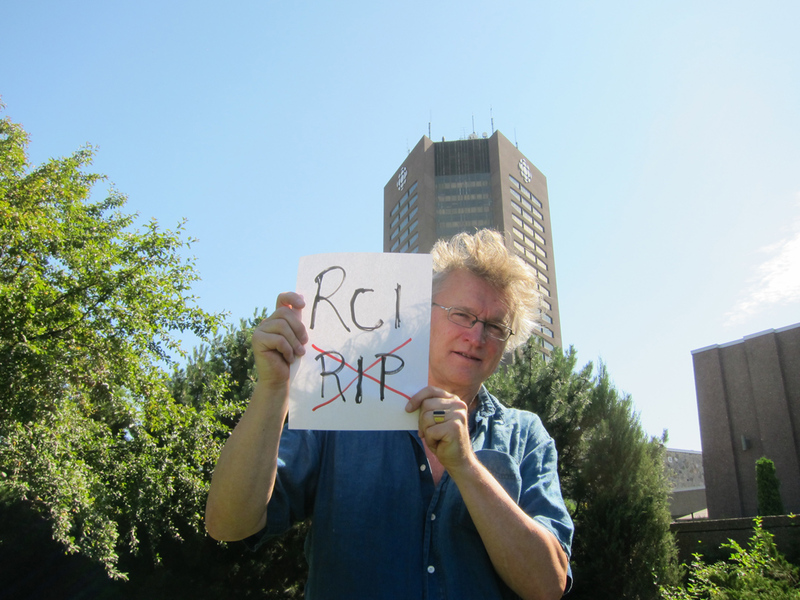 Please join us in this new project: “RCI – WE WILL NOT ‘REST IN PEACE’ PHOTO PROJECT – RCI, RIP ? NON ! You have been so generous with your time, in reading, and commenting and supporting us. We are now into our fourth (!) 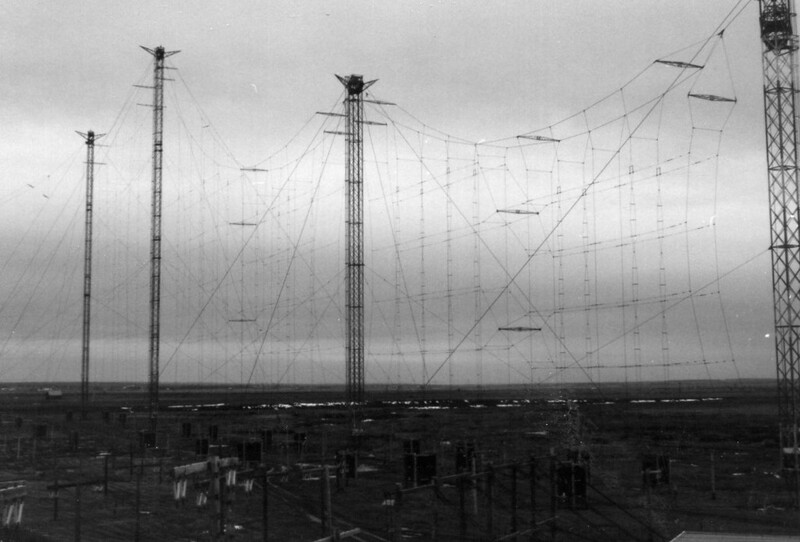 week without radio broadcasting. We’re not happy about this. We don’t think you are. Please take a few minutes to read the details here about our project, and then send us your photo. On the last day of radio programming at RCI on June 24, 2012, some of the newsreaders and host/producers ended their last broadcasts and then shared their reflections on Radio Canada International in this series of five videos. It was an emotional day. 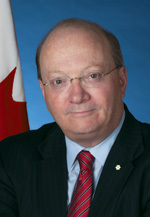 All were professional, but clearly devoted to our international service and its tradition of 67 years of presenting Canada to the world. 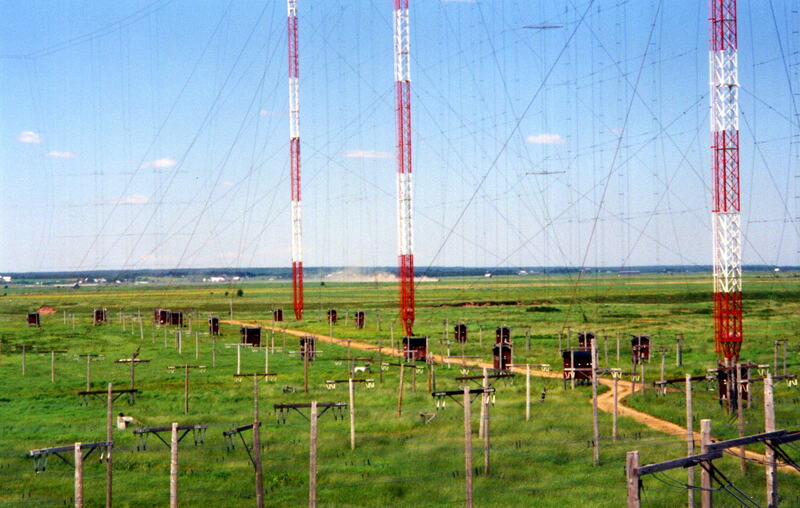 With its shortwave towers in Sackville, New Brunswick, the CBC International Service (as it was called then) would provide Canadians and foreign listeners with news, information, and music from Canada. For more details and audio, please go to the archives of our national public radio and TV broadcaster CBC/Radio-Canada here. 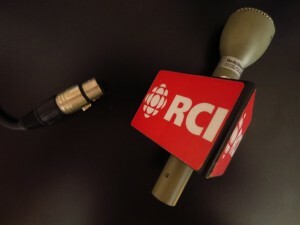 On June 24, 2012, more than 67 years after the first broadcast, Radio Canada International broadcast its last radio programmes, and went to a a web-only Internet service.